Most of you probably followed the story of little Teddy Fish. If you didn't, you can read about him here. Sadly, little Teddy lost his battle with Menkes yesterday. Today is a very sad #TeddyTuesday. Yesterday the strongest Superhero around lost his yearlong battle against Menkes. It was the strength of #TeamTeddy that got Teddy's family through some of the tough days, and they will need our strength as their toughest days are yet to come. We hope you will join us in sharing this picture with your friends and family in support of both the Fish and Coffey families. 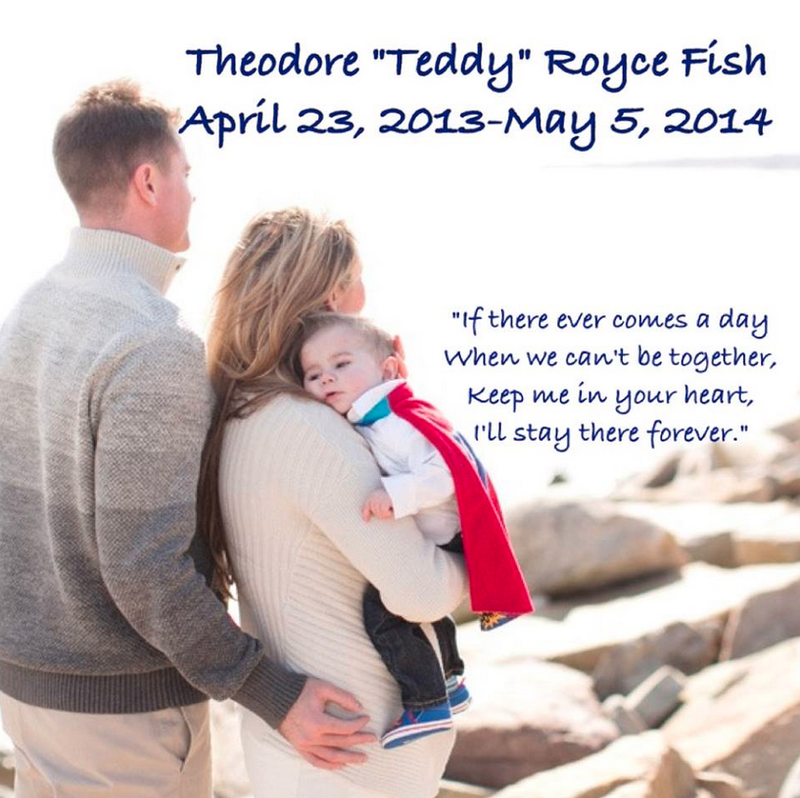 We will forever love you Teddy Fish....all the way to the moon and back. Rest in peace angel baby. Please join me in sending thoughts and prayers to the Fish family during this incredibly difficult time. As a mom to a child close to Teddy's age, I cannot imagine what they must be going through right now. I know that Mary and Alex would appreciate any uplifting words you could leave on Teddy's Facebook page. We will never forget you Teddy Fish! So sad to hear about this, I have been following this story for a while now. Thank you for sharing so we can all join together a pray over this family! My heart just sank when I read the title of your post…I am so sad to hear this…may that sweet little boy rest in peace. It just isn't fair.